Philanthropy and program management are tightly linked for a number of reasons. First, philanthropy at its most advanced level is strategically driven, and programs are driven by a common thread of purpose and strategy. Second, both are long term in nature. There is no due date; it’s an effort in moving toward a goal on a continuous basis. Third, in order for the philanthropic program to succeed, changes in course may be necessary. This article explores this long term, strategic nature of philanthropy and how strong program management practices can help. 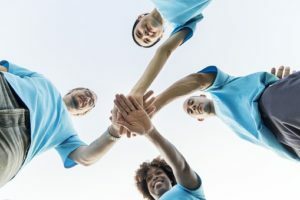 This is the fourth part of a series of four articles on “Philanthropy and Project Management", where we explore the intersection of these two fields and how strong project and program management is so critical to philanthropic initiatives. This article, Part 4 in the series, “Philanthropy and Project Management: Program Management", dives into purpose AND strategy in advanced philanthropic efforts. Part 1, “Philanthropy and Project Management: Giving Money", looks at the management challenges related to giving money. Part 2, “Philanthropy and Project Management: Giving Time", looks at the management challenges related to giving time. Part 3, “Philanthropy and Project Management: Charity", focuses on the bigger picture of purposefulness but with a strictly tactical approach. Philanthropy is the ultimate way to give. It aims to solve a systematic social problem and improve the world and the lives of people. There is a long history of philanthropy, typically led by foundations of individuals who have had great business success. Some American examples include the Ford, Rockefeller, and Gates foundations. The unique thing about these and other philanthropic efforts is that they are not about just distributing money, time or goods to the needy. More than that, they are driven strategically, and thus are highly organized, narrowly focused, and well-financed for the long haul. As a result, philanthropic efforts very much consist of programs – efforts that are strategically driven to solve a long term problem. Unlike projects, which have a clear beginning and end and are largely driven by execution within cost, quality, and time parameters, philanthropic programs keep their eyes on the ultimate purpose and may need to adjust activities, projects, strategy and tactics, and even expenditures over time I order to achieve their objectives. Create a management platforms that allows for learning, adjusting, and even failing. Be patient – potentially over decades. Support partnering and collaboration in the name of pursing the common good, even if it involves giving up some control. Consider engagement with governments to influence funding and action. Empower the doers and beneficiaries above others. A strong program management approach to philanthropic efforts requires shared and dynamic problem definition, clear and winnable milestones, solutions built for scale, and robust investments to drive and serve demand. The better the program management foundation is, the more funding that is likely to result, and ultimately the more success in achieving strategic goals of solving the world’s big problems. Therefore, professional program management practices are critical to philanthropic success. Can you identify a philanthropic cause, and organization involved, where there could be improvements with implementation of best program management practices?